Life is feudal is a game is most enjoyable when playing with others. It is a very social game that rewards those that form communities, be it small or large. Due to the social nature of LiF, many of the the gaming communities forged in LiF:MMO will translate through to other guilds, servers & games in the future. In an industry that is dominated by MOBAs and Battle Arenas which are inherently antisocial and all about instant gratification, it is great to see that games like Life is Feudal are still out there. In LiF:YO, it was very easy to join up with others due to the smaller map and smaller population. And people often joined YO servers which was in their timezone, or fit there play style. 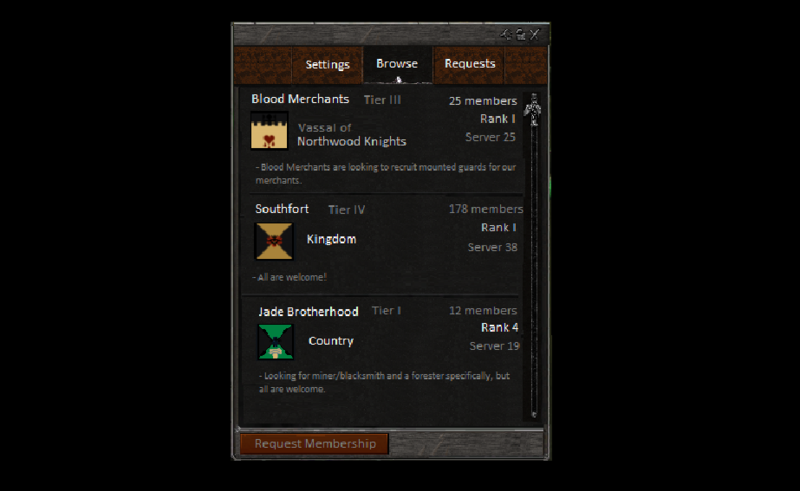 However, in the MMO, it is quite hard for new players to find others to group with. And on the other end of stick, it is often hard for guilds to recruit without spamming the global chat/forums non stop, (not many new players even check the forums as well). I think that LiF:MMO needs to have a in game Group Finder that players and guilds can use to team up. You could include so many filters which could really help players connect with others that share similar interests and time-zones. Below is an example of the settings you could have to match players into groups. 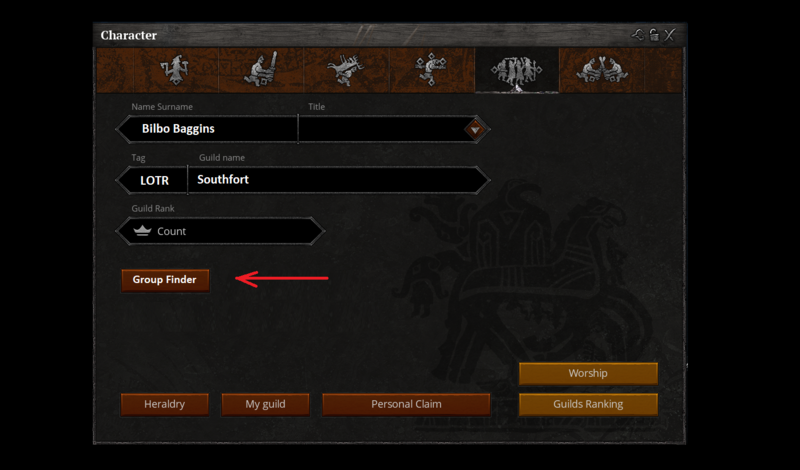 With the settings above you could really narrow down your search to find a guild that suits you. Finding people that are in your timezone would mean that you could connect with others that are online when you are. 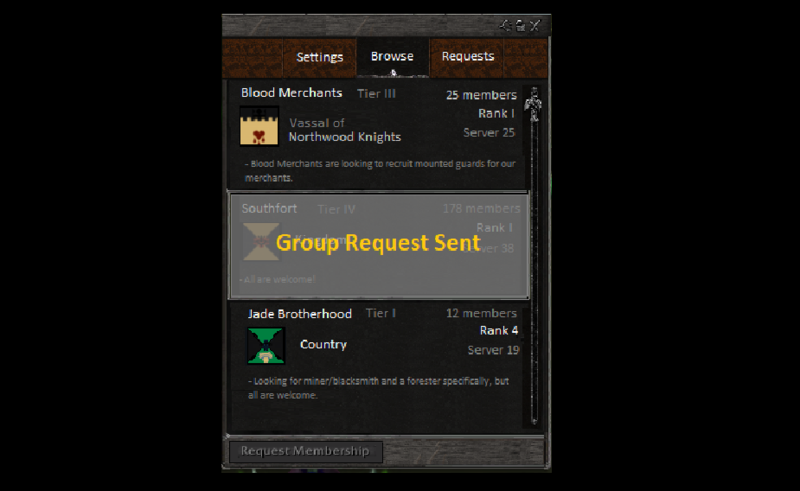 If you are not interested in joining a big established guild, you could look for a guild less than 10 days old with 1-30 people in it. Players that want to play solo, but want to be near others can easier apply to guilds that offer this "Land Plot" option/play style. This system is basically a copy of WoWs system but instead tailored to Life is Feudal and with a few additional features that I think are important. The problem with WoWs Guild Finder is that the process is one-way. 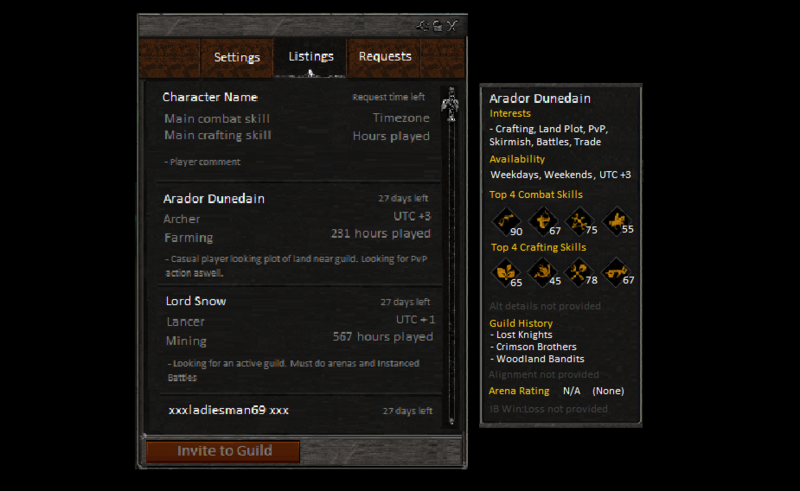 Guilds can create listings that individual players can view and make an application to join. 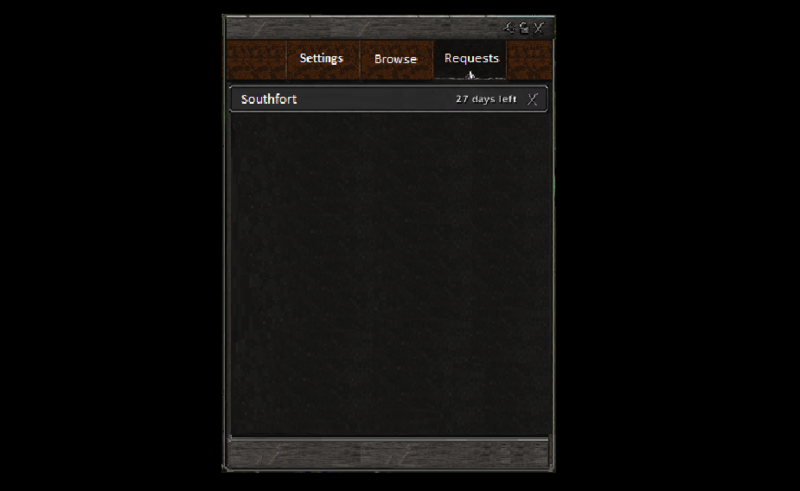 Depending on how active said guild leadership may be, a guild request could take hours or days to accepted/declined. Allowing players to also "List" themselves, as sell swords, free agents or master craftsmen for guilds to view and then send an application, would make the process two-way. It would definitely make it easier for players and groups to connect. So how could it work? 1. Open the Group Finder. You could also have the group finder as part of the tutorial for new players. Maybe even allow people of the newbie Island to use it and join a guild under special circumstances so that they can then teleport to the base without having to run for 4 hours across the map. Especially if the map is getting even bigger with the unified map. 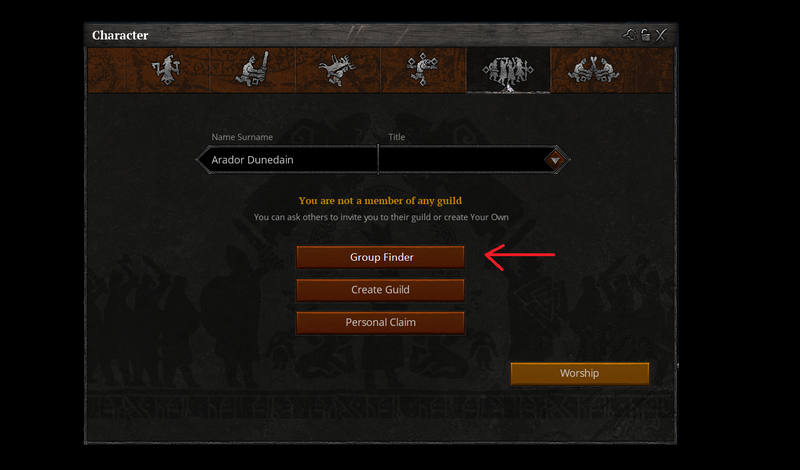 If the "List Character" option is pressed, guilds that met the requirements would be able to see the player in their list of " players looking for a group" and can either choose to remove that player from their list or invite that player into their guild. 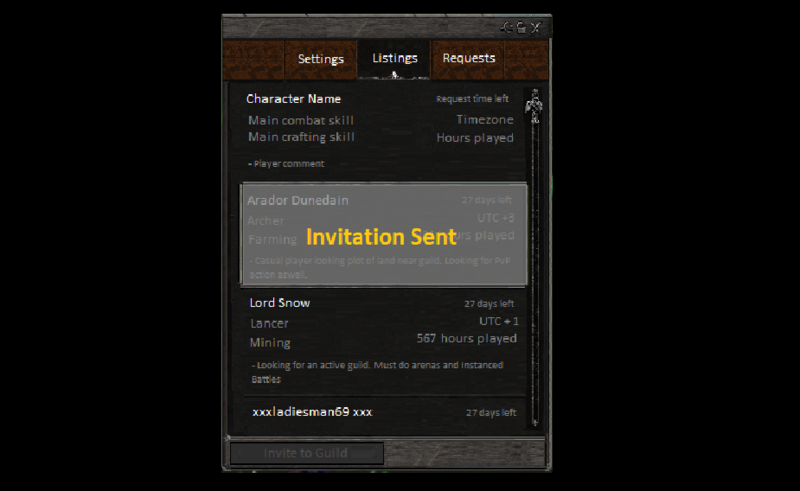 Once Listed, a player can just wait until they are invited into a guild, and they can choose to accept or decline. 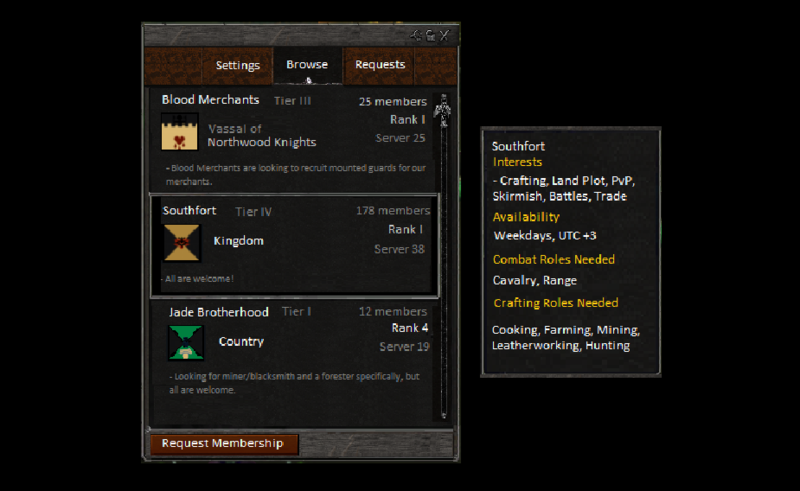 The second option, "Browse Guilds" would continue on the process. Basic information such guild tier, rank, numbers, vassalage, location and a small message could be seen in the main view. If you hover over a guild, you could see criteria that the guild is looking for. (Ideally if the match making is working properly, the individual player should fit into that criteria. By clicking on a guild, an box pops up to the right which provides you with a box to type a message and settings for what information you provide to the guild. - If the person has 7 alt characters in 5 guilds, then maybe that person is not trustworthy. - If a person does not show much information then maybe they are untrustworthy. - If a blacksmith doesn't show his crafting skills then how do you know if he has 100 blacksmithing. - If a player is claiming to be new but wont show there played time, then maybe they are trying to make you think they are new to infiltrate your ranks. There are many scenarios like the above. Basically, a lot of guilds do not recruit for trust reasons. Even with object permissions, it would give guilds a lot more piece of mind if they new a lot more information about the players that they are recruiting. Yes, I understand some players will make different accounts to bypass this. You cant stop the 1% of players that may do this, but 99% just want to play and enjoy the game. And you will pick up pretty quickly if a player seems know a lot about the game having only played 1.5 hours. I know it would take a lot more development effort from the developers to achieve this, and it would be a luxury, but i think it would have a positive influence on the game. 5. Wait for a response. You can only have 3 requests at once to reduce spam. Now you just wait until you are accepted into a guild. 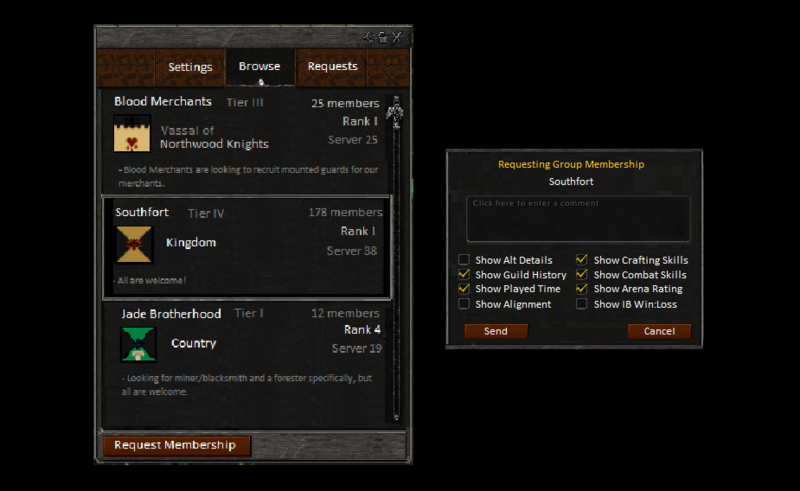 A guild leader or viscount can open the social tab and click on the group finder button. Similar to the player perspective, guilds can indicate what kinds of players they want. A role playing guild can tick role playing, Guilds looking to recruit spear men and berserkers can select those options etc etc. Once you have setup your filters, you can either choose to view listings, or if you have sent your filters/settings in the past, your guild requests. Click "Check Listings" for current listings of people looking for a guild and click " Check Requests" to see if anyone has directly applied to be apart of your guild. The information displayed in Listings and Requests is the same for the most part. You can hover over individuals to see more information about them, assuming they have provided it. If you like what you see, you can proceed. 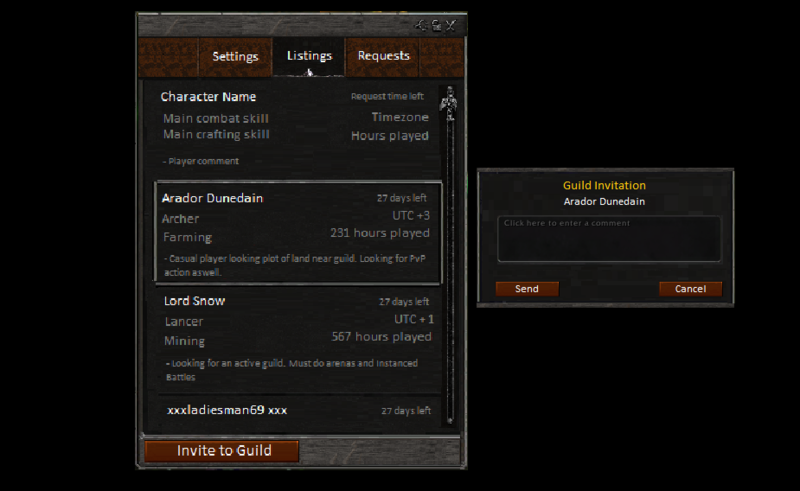 For individuals viewed in the Listings Tab, this means that you can extend a "Invitation" for them to join your guild. For individuals viewed in the Requests Tab, you can choose to "Accept" or "Decline" there request. Basically the same as sending a guild request from a player to guild, except this time it is from a guild leader to a player who has listed themselves. And once sent, that person will show up as "Invitation Sent" in your Listings Tab. LiF:MMO needs to improve its new player experience. 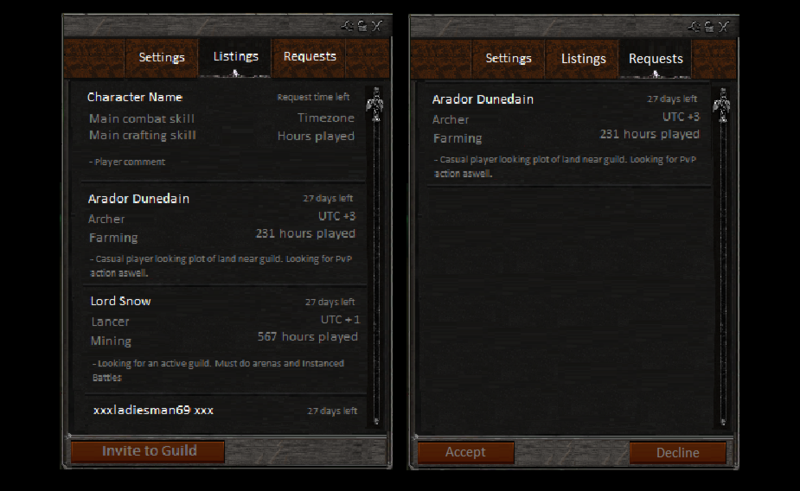 I think a in-game group/guild finder is absolutely essential in Life is Feudal MMO. Forums/Discord does not cut it. I would hate to think how many new players have left after 1-2 Hours because they couldn't connect with other players. I bet 95% of them would have looked around the UI for a Guild Finder and gave up shortly after not finding one and no one responding in testers chat. I know I have added in a lot of nice-to-have features above, but I do think that if you are going to do it, you might as well do it properly from the get go. Having meaningful settings allows players and guilds to be as specific or broad as they desire, allowing people that are interested in the same things to find each other easier. It would also allow people from all over the world to find other people from their country/speak their language to group up. With a system like above, new players could also join a band and forge there own path instead of joining a established Guild. (Which I believe is the most enjoyable way for new players to start playing LiF:MMO) - Learn the game by building a town with 10-20 random people and with all the conflict/fights/politics that comes along with it. Let me know if you think this should be in the game or not in the comments and let me know if you think I have left anything out. As always, keep up the good/hard work devs. Like baviasi, Cjfly, iulia.ndide and ussmarines likes this post.